Kyrie Irving and the Cleveland Cavaliers are turning back the clock tonight by wearing their orange throwback uniforms from the 1980s. 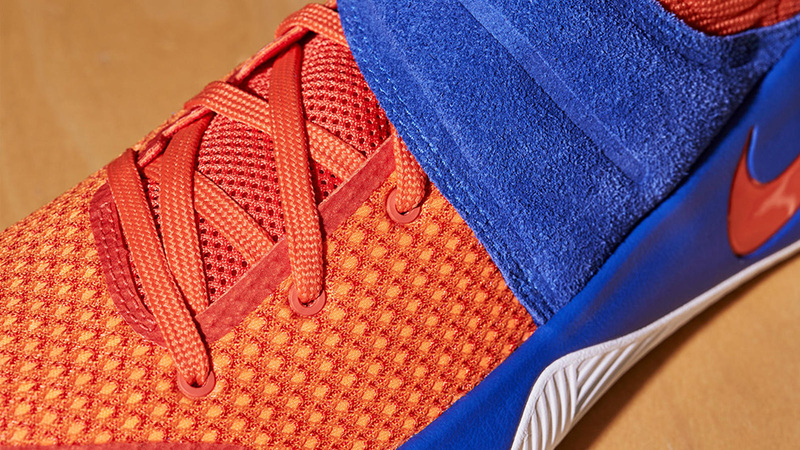 The classic kit means that Kyrie will be lacing up a brand new Nike Kyrie 2 Hardwood Classics PE featuring multiple shades of bold orange on the mesh and a premium blue suede midfoot strap for a head-turning look perfect for the occasion. 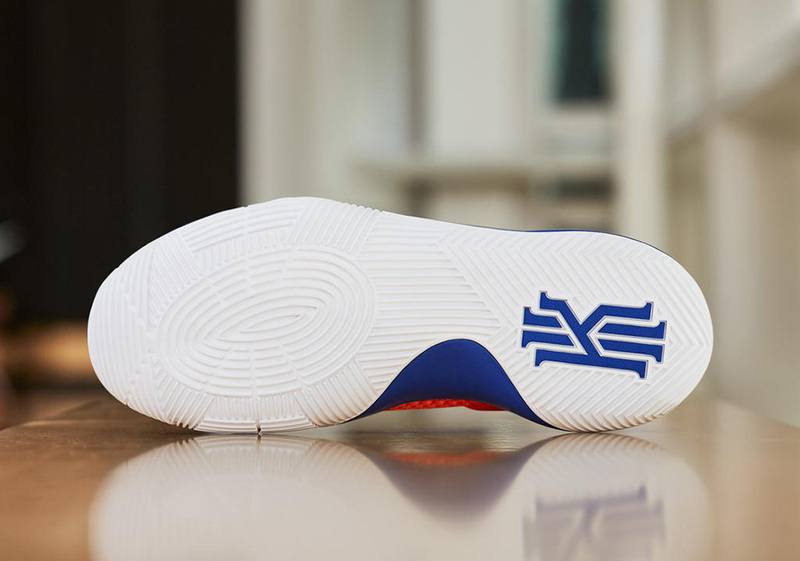 The royal blue shade extends to the midsole and Kyrie branding while that unique traction pattern on the outsole adds the only touches of white throughout. Now if only LeBron can bring back his Nike LeBron 4 “Fruity Pebbles” PE, last seen the last time the Cavs broke this uniform set. Either that or the Nike LeBron 7 “Hardwood Classic”, some of the finest PEs in the LeBron catalog. 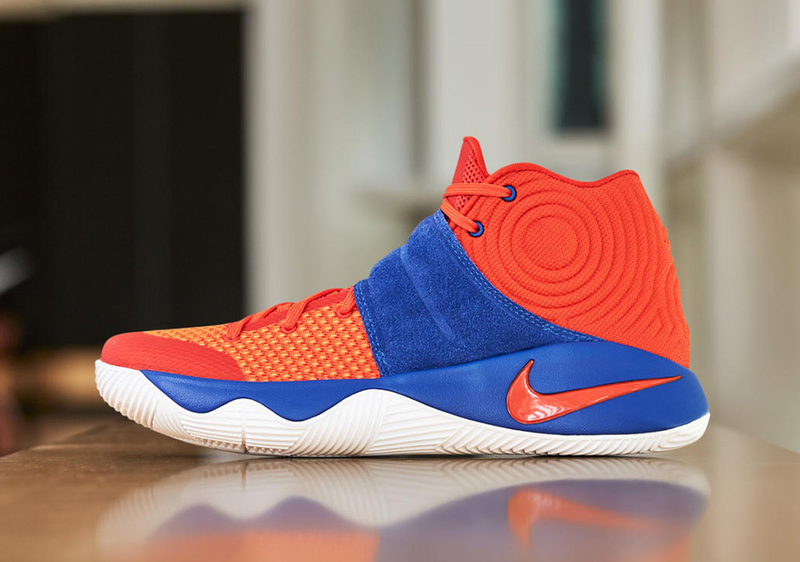 You can expect Kyrie Irving to lace up this Nike Kyrie 2 Hardwood Classic PE when the Cavs don their throwback orange jerseys tonight against the Miami Heat. Check out more photos below and stay tuned for more Kyrie 3 details right here on Sneaker News.